I was a bit sceptical about buying another Volkswagen, considering problems I had with my previous one. But I decided to give VW another chance. As you know I posted about problems that I experienced with the new Polo, which VW didn’t actually sort out but was sorted out by doing the first 15000km service. I think there was a malfunctioning spark plug and a new set of spark plugs did the trick. The Polo has a low technology engine, running a 1.4l engine which generates 63kw of power and 132nm of torque vs. other 1.4s in its class which generate 73kw to 76kw. The only improvement is the 16 valve head as compared to the older model which had an 8 valve head, ultimately making it more efficient than its predecessor. The one thing that got my attention was that the new Polo’s now have a timing chain instead of a cam belt, which eliminated that ridiculously over priced 90000km service. Five years later, after buying my first Polo, I thought to myself ‘What has really changed in this cars engine that can justify the price?’ and my answer was ... ‘Nothing much.’ But then again looking back at Japanese manufactures like Toyota and Nissan, they stuck with an engine that worked, it was tweaked a bit here and there and then plonked it into the next model that they rolled out and the consumers were more than happy with the reliability that they got out of it. This is what VW has done with the new Polo. Performance is ok, the car has decent acceleration but don’t expect to enter any drag racing competitions, it is a 1.4 after all. But then what is the real attraction to this car, well, it’s the thing you notice first... the looks. The new VW Polo has one of the sexiest designs out there and there’s no argument about it. The sharp lines and the totally revised body, together with the fogs and colour coded mirrors and bumpers which come standard in the Comfortline makes this car appealing. And the word ‘Comfortline’ isn’t just a word that they’ve added to the name just to say that this model comes standard with electric everything, it means what it says. This is one of the most comfortable cars that I’ve ever driven. The ride challenges the likes of a luxury saloon and the instruments and controls are perfectly setup that it takes minimum effort to do anything in this car. Everything is so effortless, from the clutch and gears to the indicators and wipers; it’s so easy that you don’t get tired of driving it. The thing that annoyed me with this car was that it didn’t come with any mud flaps, it is an optional extra! Can you believe that? Also the interior is nicely setup and finished, save for a little exposed patch of metal on the rear passenger doors that shows the colour of the car. But overall the car has a solid build quality and excellent design. At the time of purchase this model was listed at R169000.00 and it came with a 120000km/5yr warranty, service plan is optional. There are other cars in its class that comes standard with a service plan e.g. the Hyundai i20 1.4 and Ford Fiesta 1.4. 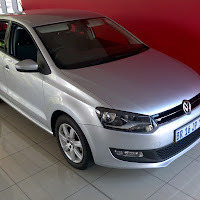 I am looking at purchasing the Polo 1.4 Comfortline and am torn between this and the Hyundai i20. Which would you all recommend?? If you are going for new then the VW Polo doesn't come close to the features that come standard on the Hyundai i20. 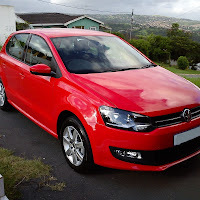 But the styling on the Polo trumps that of the i20, and the Polo has far better fuel economy. The trade in value of your car is another factor to consider. 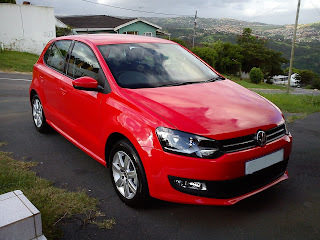 The Polo, although more expensive, will hold a better trade in value than the i20. Or you can save at the beginning by buying the better priced i20. With the i20 you will get a service plan standard and you will have to pay for this in the Polo. Overall they are both very good cars, so the three major points to consider are comfort features, price and fuel economy. 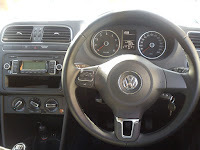 I have a VW Polo 1.4 Comfortline 2010. Does it use the chain or a cambelt. Please if someone can assist me in this one? Hi Patrick, your Polo will have a timing chain. Scheduled for inspection at 90000kms and replacement at 180000kms according to manufacturer. 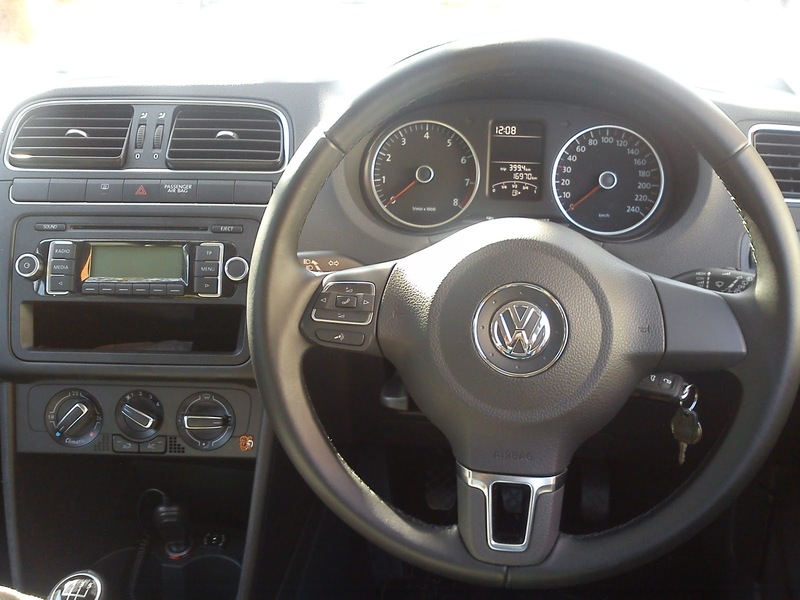 Hi there, How can I activate the bluetooth/handsfree kit in my Polo 1.4 2012?